I'm at the Sundance Film Festival, the largest independent cinema festival in the U.S. But today, the show for me isn't in the theater, it's in the living room of an HP SmartHome. It's a miniaturized version of the HP SmartHome at HP's Cupertino, California site, which represents a real-life, three-bedroom residence. As an exhibit at the festival, this HP SmartHome showcases the most in-demand connected entertainment, home control and smart appliances for living the high-def,(1) digitally enabled life. I have to admit it: I still find digital entertainment systems a bit baffling. Sure, I've written about this stuff. I've even talked with a few industry experts. Somehow, this knowledge failed to bridge the continental divide between my work and home life. But, this time, snuggled on the sofa in front of an HP MediaSmart TV, something clicks, and it's not just the remote. I get it! I finally understand what a 'connected' entertainment experience is  and how I can bring it on home. It starts with HP MediaSmart solutions: hardware, software and services to connect with online content(2) on home computers and beyond much more easily. And I'm not just saying that. 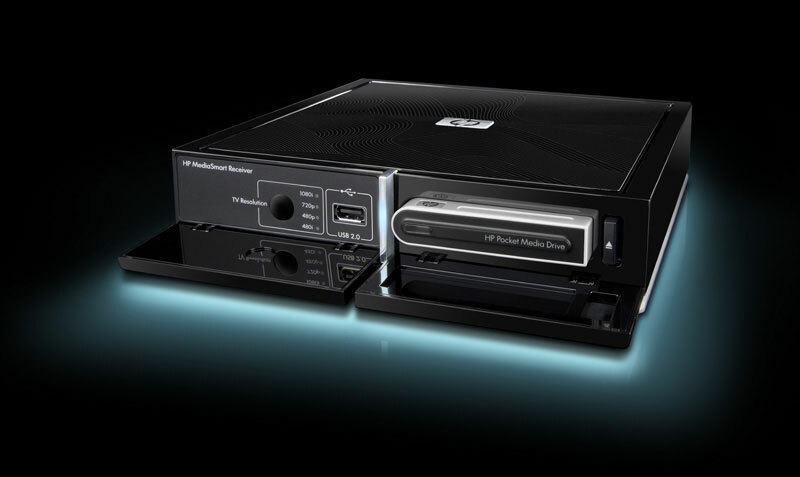 These HP MediaSmart products  including HP MediaSmart TVs, the HP MediaSmart Server and the recently announced HP MediaSmart Receiver  finally take the 'duh' out of high-def digital entertainment for me. The HP MediaSmart 1080p LCD HDTV is the centerpiece of your connected home entertainment experience. I'm witnessing full high-def 1080p clarity(3) and the latest LCD technology on the HP MediaSmart TV. But the heightened sight and sound experience isn't the only thing that's blowing me away. Because it's not just displaying digital content that makes this HDTV different, it's how it goes about finding, gathering and connecting me to content. The key word here is 'easily'. 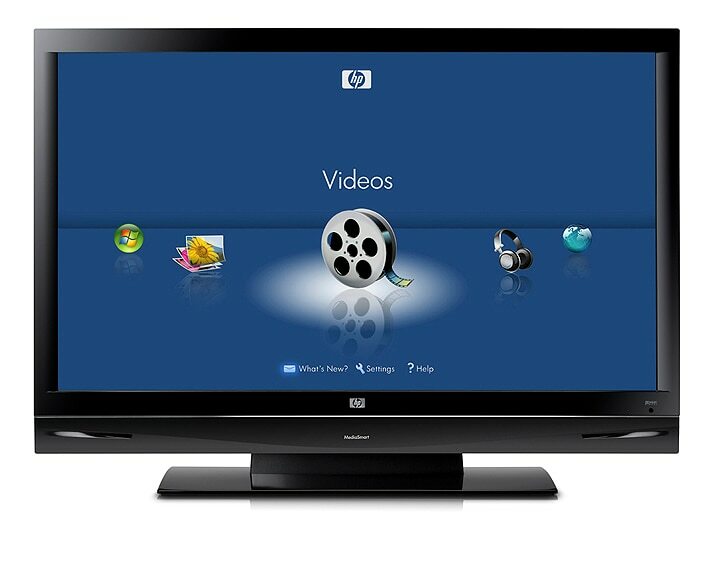 The PCs simply need to have Windows® Media Player 11(3) (easily downloadable) or HP MediaSmart software (included) and a wired or wireless home network connection to the HP MediaSmart TV. There's no bopping between PCs to find content, either. I can stay nicely nestled into the couch and connect to it all using the TV remote. I simply connect it to my home network, and I can access online services(2) and the photos, music and videos stored on multiple PCs around my house. 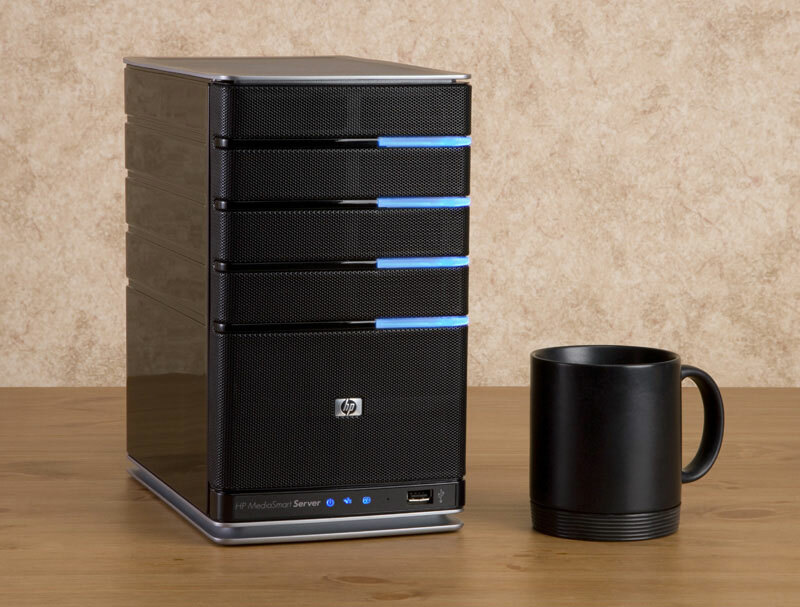 The HP MediaSmart Server lets you access, organize and share multiple terabytes of digital content from one location. Now I'm thinking about all the space that digital content will eat up on my PC hard drives, especially given Hollywood's trend towards for prequels and sequels. Here, in the HP SmartHome, I see the answer: an HP MediaSmart Server. With it, I can easily share my digital content inside and outside my home network,(5) while it's safely stored and protected in a central location, giving my PC drives ample breathing room. Speaking of rooms, I hear there's more to see in the HP SmartHome. Now that I've crossed a threshold into the world of connected entertainment  physically and intellectually  I'm ready to learn and share more. (1) High definition (HD) source content varies and will depend on source input, signal, aspect ratio and other factors. HD content may require separately purchased service contract or other fees. HD content may not be available in your service area, check with service provider. (2) Internet access required and sold separately. Downloaded content may require additional fees. (3) Windows and Windows Media Player II are U.S. registered trademarks of Microsoft Corporation. (4) EDTV or HDTV that supports 1080i, 1080p, or 720p input is required. (5) Do not copy copyright-protected materials. The HP SmartHome exhibit certainly showed this writer how easy, affordable and compelling a connected digital entertainment experience can be. View the below video to take a peek into the living room where I learned about the latest HP MediaSmart products and how they can connect me to my favorite personal and online content  to put more 'me' into my media.